The Nigeria Football Federation (NFF) Committee on Ethics and Fair Play has announced in a statement by Ademola Olajire, NFF’s Director of Communications in Abuja Wednesday, the banning of the Super Eagles’ Chief Coach Salisu Yusuf from all football-related activities for one year with immediate effect. Olajire also said that the coach had been directed to pay $5,000 as a fine to NFF within three months. According to him, this decision was sequel to a complaint forwarded by the NFF as well as the coach’s defence against a documentary in which he was seen accepting $1,000 from an undercover reporter disguising as a player’s agent. “Established from the admission of Coach Yusuf and also found as a fact from the documentary and video evidence before it, that he accepted the cash gift of $1,000 offered by Tigers Player’s Agency, an undercover reporter, purportedly interested in acting on behalf of players Osas Okoro and Rabiu Ali, for their inclusion in the list of players for 2018 CHAN competition in Morocco. 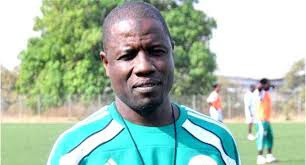 “The committee found as a fact that it was not an error of judgment on the part of Coach Yusuf but a conscious and deliberate decision to have accepted the cash gift of $1,000 from the decoy player agent/undercover reporter, purportedly interested in acting on behalf of players Osas Okoro and Rabiu Ali, even though the evidence before the committee did not establish that his conduct influenced the choice of the two players. “That Coach Yusuf did not accept the offer of 15 per cent of the anticipated transfer fees of the said players, as there was no follow-up action on the promise. Olajire also said that the committee’s decision was as follows: “In accordance with Art. 22, FIFA Disciplinary Code, he is hereby banned for the period of one year, from partaking or involvement or participation in any football-related activity, effective from the date of this decision.